Gregory Gallant (born September 16, 1962), better known by his pen name Seth, is a Canadian cartoonist. He is best known for his series Palookaville and his mock-autobiographical graphic novel It's a Good Life, If You Don't Weaken (1996). Seth draws in a style influenced by the classic cartoonists of The New Yorker. His work is highly nostalgic, especially for the early-to-mid-20th Century period, and of Southern Ontario. His work also shows a great depth and breadth of knowledge of the history of comics and cartooning. Seth was born Gregory Gallant on September 16, 1962, in Clinton, Ontario, Canada. His parents were John Henry Gallant and the English-born Violet Daisy Gallant (née Wilkinson); he was the youngest of their five children. His family moved frequently, and he grew up mostly in Tilbury, Ontario. He was inward, unathletic, and had few friends, and took to comic books and drawing at a young age. Seth attended the Ontario College of Art in Toronto from 1980 to 1983. He became involved with the punk subculture and began wearing outlandish clothing, bleaching his hair, wearing makeup, and frequenting nightclubs. He took on the pen name Seth in 1982. As of 2004, Seth lived in Guelph, Ontario, with his wife Tania Van Spyk, whom he married in 2002. Seth, then living in Toronto, first drew attention to his work in 1985 when he took over art duties from the Hernandez brothers for Dean Motter's Mister X from Toronto publisher Vortex Comics. His run covered issues #6–13 (1985–88), after which he did commercial artwork for publications including Saturday Night and Fashion. In 1986 he met fellow Toronto-based Vortex artist Chester Brown, and in 1991 Toronto-based American cartoonist Joe Matt. The three became noted for doing confessional autobio comics in the early 1990s, and for depicting each other in their works. In April 1991 he launched his own comic book, Palookaville, with Montreal publisher Drawn and Quarterly. By this time, Seth's artwork had evolved to a style inspired by The New Yorker cartoons of the 1930s and 1940s. He is also a magazine illustrator and book designer, perhaps best known for his work designing the complete collection of Charles M. Schulz's classic comic strip Peanuts. The books, released by Fantagraphics Books in 25 separate volumes (so far) combine Seth's signature aesthetic with Schulz's minimalistic comic creation. Similarly, he is designing the Collected Doug Wright, and the John Stanley Library. Seth's illustration work includes the cover artwork for Aimee Mann's album Lost in Space (2001) and the jacket and French flaps for the Penguin Classics Portable Dorothy Parker (2006). Clyde Fans, the story of two brothers whose trade in electric fans suffers and eventually goes out of business from the failure to adapt to the rise of air conditioning, was serialized in Palooka-ville. Seth's short graphic novel Wimbledon Green, about an eccentric comic-book collector, was published in November 2005. From September 2006 to March 25, 2007, Seth serialized a graphic novel titled George Sprott (1894–1975), for the Funny Pages section of The New York Times Magazine. Selections from George Sprott were featured in Best American Comics 2009. In the liner notes of that publication, Seth announced he was expanding Sprott into a book, filling in gaps that were cut to meet the restraints given by NYTM. The book was published by Drawn & Quarterly in May 2009. Seth's affection for early- and mid-20th century popular culture and his relative disdain for pop culture since then is a recurrent theme in his work, both in terms of the characters (who are often nostalgic for the period) and his artistic style. Although, as a teenager, he was a vocal fan of mainstream superhero comics; he even had a couple of fan letters published. Seth's artwork has landed on the cover of The New Yorker three times, which he said was a professional milestone he was happy to achieve. Seth collaborated with children's novelist Lemony Snicket on his four-part series All the Wrong Questions, starting with Who Could That Be at This Hour? released on October 23, 2012 and Why Is This Night Different From All Other Nights? released on September 29, 2015. A selection of Seth's original models (studies for his fictional city, Dominion) was included in an exhibition at the Phoenix Art Museum from April 21 through August 19, 2007. Seth is the subject of the 2014 documentary film Seth's Dominion, which received the grand prize for best animated feature at the Ottawa International Animation Film Festival. (2002) Inner Drawings and Cover Art for the Record Lost In Space by Aimee Mann, Super Ego Records. (2005) Design and Inner drawings for "Christmas Days", by Derek McCormack, Anansi, 2005, ISBN 978-0-88784-193-4. (2008) Design and Inner drawings for "The Idler's Glossary," by Joshua Glenn and Mark Kingwell, Biblioasis, 2008, ISBN 978-1-897231-46-3. 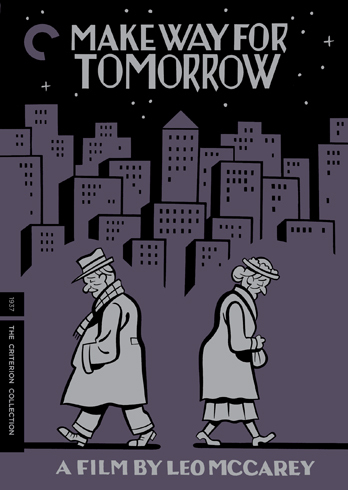 (2009) Cover of The Criterion Collection's DVD release of Leo McCarey's Make Way for Tomorrow (spine #505). (2011) Design and Inner drawings for "The Wage Slave's Glossary", by Joshua Glenn and Mark Kingwell, Biblioasis, 2011, ISBN 978-1-926845-17-3. (2013) Cover of The Criterion Collection's Blu-ray/DVD release of Charlie Chaplin's City Lights (spine #680). (2018) Cover of The Criterion Collection's Blu-ray and DVD release of Gregory La Cava's My Man Godfrey (spine #114). Marrone, Daniel (2016). Forging the Past: Seth and the Art of Memory. University Press of Mississippi. ISBN 978-1-4968-0734-2. Smart, Tom (2016). Palookaville: Seth and the Art of Graphic Autobiography. The Porcupine's Quill. ISBN 978-0-88984-839-9. ^ a b c d e f Hoffman & Grace 2015, p. xvii. ^ a b c Hannon 2015, p. 92. ^ Thalheimer 2010, p. 5602a1=Hoffman. ^ a b Bongco 2000, p. 199. ^ Bell 2006, p. 150. ^ Thalheimer 2010, p. 561. ^ "Sequential | Canadian Comics News & Culture". Sequential.spiltink.org. Retrieved 2012-11-09. ^ "Drawn and quarterly". Drawn and quarterly. Retrieved 2012-11-09. ^ Bryan Miller. "An Interview with Seth". Bookslut. Retrieved 2012-11-09. ^ "Dorothy Parker Society". Dorothyparker.com. 2006-03-15. Retrieved 2012-11-09. ^ Brownstein, Bill (9 October 2014). "The life of Seth, animated". Montreal Gazette. Retrieved 10 October 2014. ^ Smith, Kenton (2011-12-23). "Cartoonists, too, wish things otherwise". The Globe and Mail. Retrieved 2012-01-06. ^ a b "1997 Ignatz Award Recipients". Small Press Expo. Retrieved 2011-12-27. ^ "The Eisner Awards: Complete List of Past Winners—2005 Eisner Awards". San Diego Comic-Con International. Archived from the original on 2011-04-27. Retrieved 2011-12-27. ^ "2005 Harvey Award Winners". Harvey Awards. Archived from the original on 2010-11-09. Retrieved 2011-12-27. ^ Medley, Mark (2011-09-21). "Seth wins 2011 Harbourfront Festival Prize". The National Post. Retrieved 2011-12-27. ^ "Seth wins Harbourfront Festival Prize". The Globe and Mail. 2011-09-21. Retrieved 2011-12-27. ^ "My Man Godfrey Blu-ray". Blu-ray.com. Blu-ray.com. Retrieved 29 December 2018. Bell, John (2006). Invaders from the North: How Canada Conquered the Comic Book Universe. Dundurn Press. ISBN 978-1-55002-659-7. Bongco, Mila (2000). Reading Comics: Language, Culture, and the Concept of the Superhero in Comic Books. Taylor & Francis. ISBN 978-0-8153-3344-9. Hannon, Gerald (2015). "Retro Man". In Hoffman, Eric; Grace, Dominick (eds.). Seth: Conversations. University Press of Mississippi. pp. 89–99. ISBN 978-1-62674-387-8. Hoffman, Eric; Grace, Dominick (2015). Seth: Conversations. University Press of Mississippi. ISBN 978-1-62674-387-8. Thalheimer, Anne (2010). "Seth". In Booker, M. Keith (ed.). Encyclopedia of Comic Books and Graphic Novels. ABC-CLIO. pp. 560–561. ISBN 978-0-313-35746-6. Wikimedia Commons has media related to Seth (cartoonist).